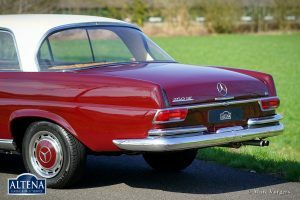 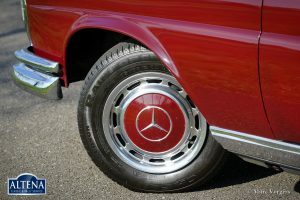 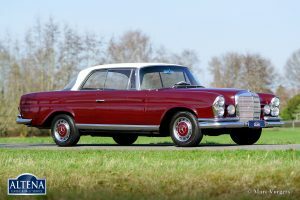 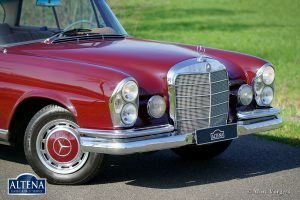 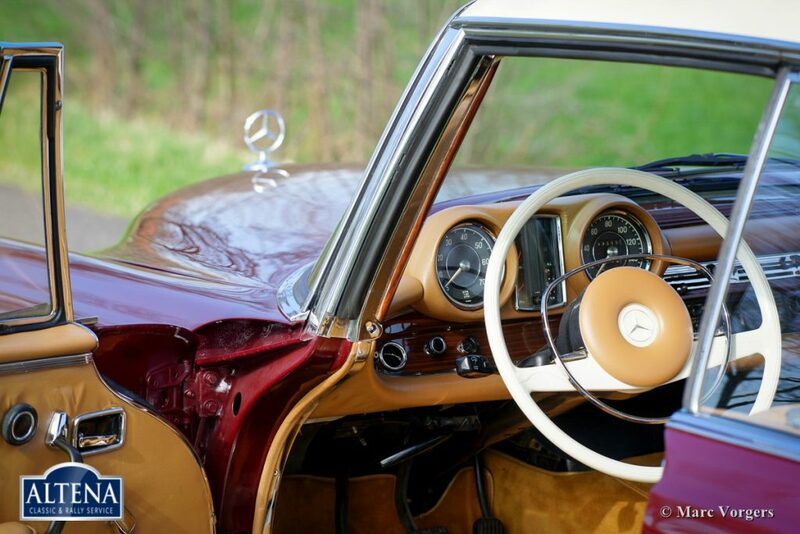 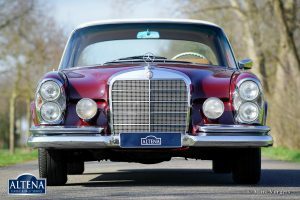 Mercedes-Benz 250 SE Coupe (W108), year 1968 (first registration). Colour burgundy red with a crème roof-top. 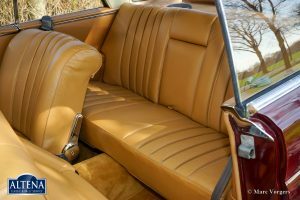 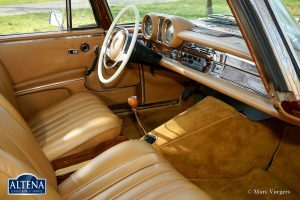 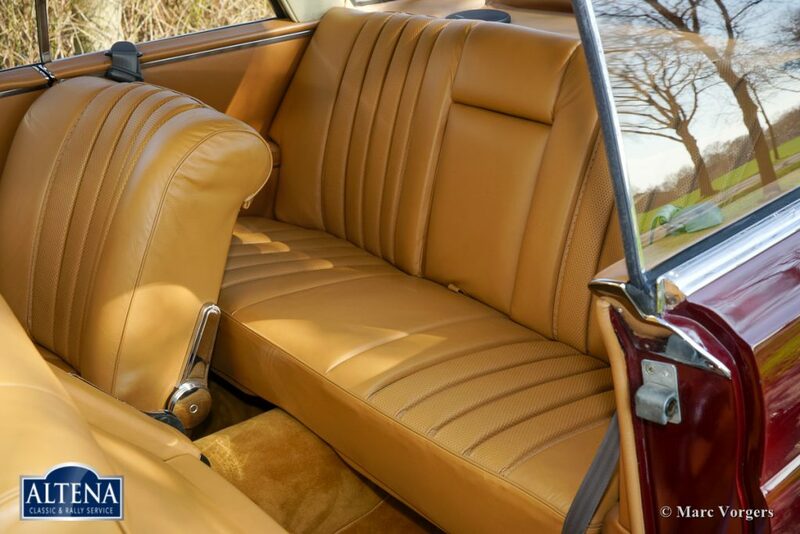 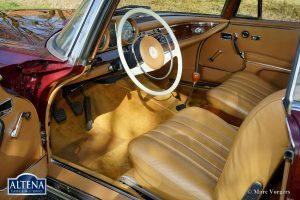 Beige leather interior and beige carpet. 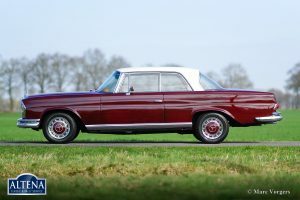 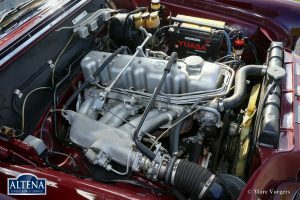 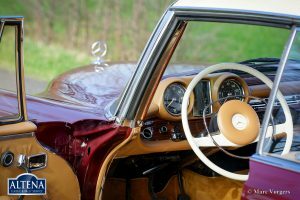 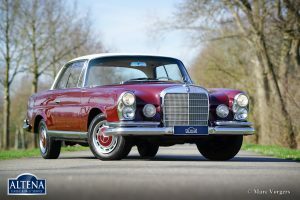 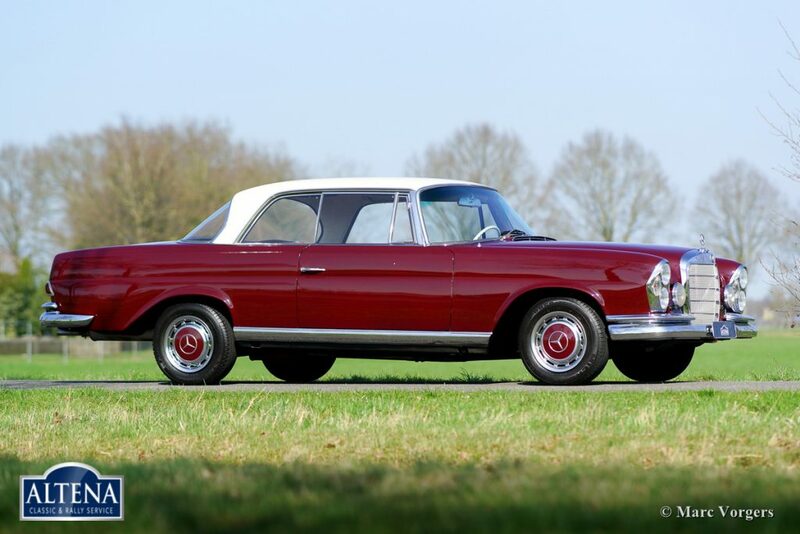 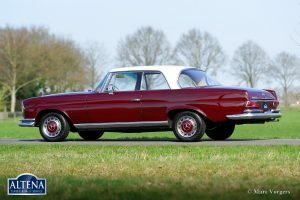 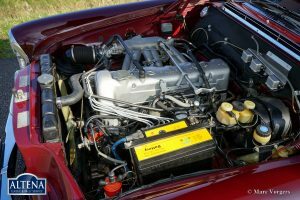 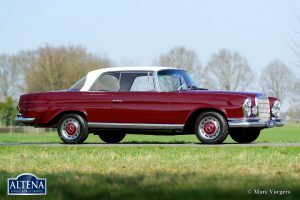 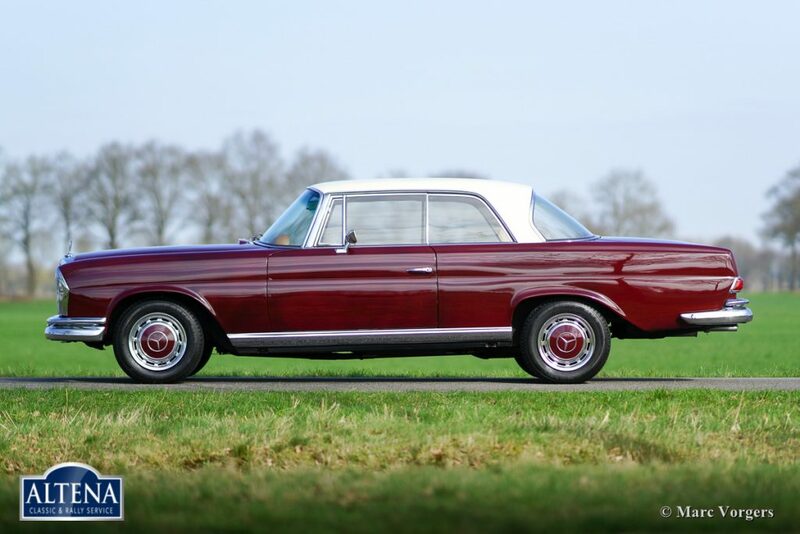 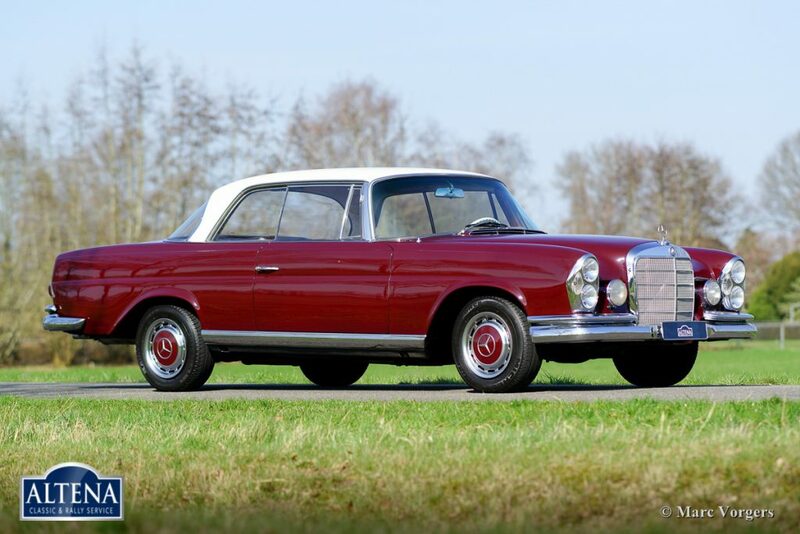 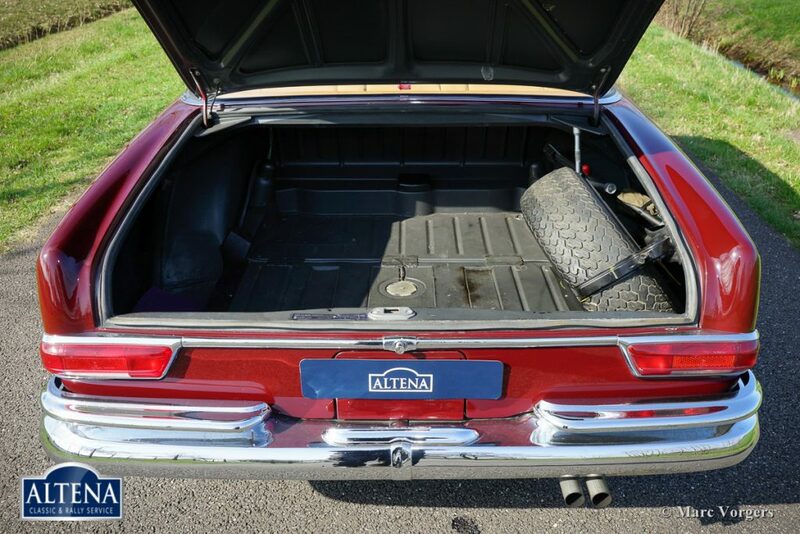 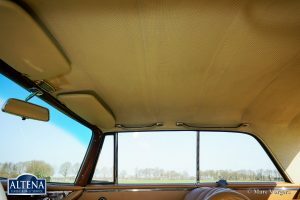 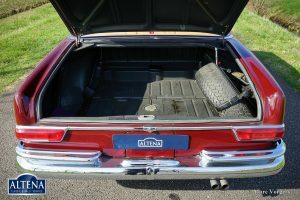 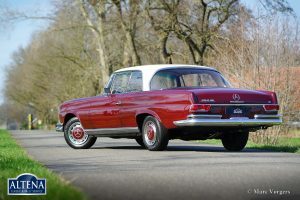 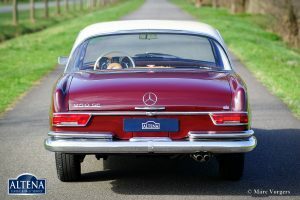 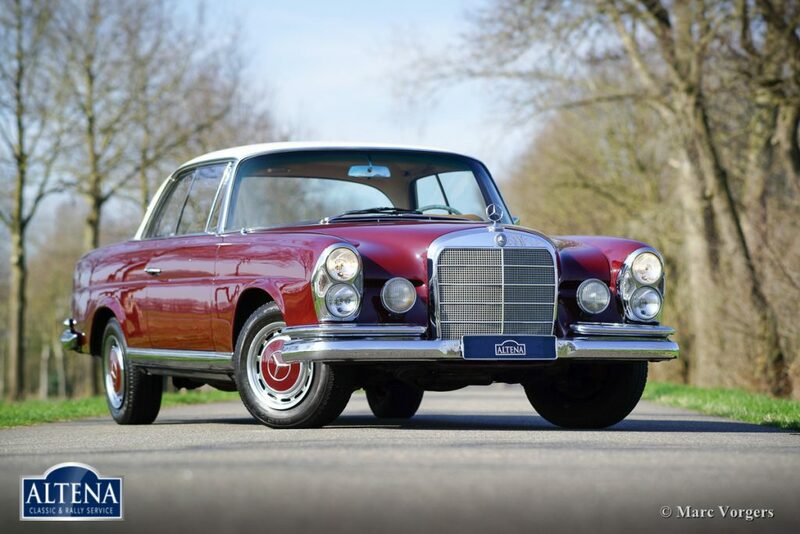 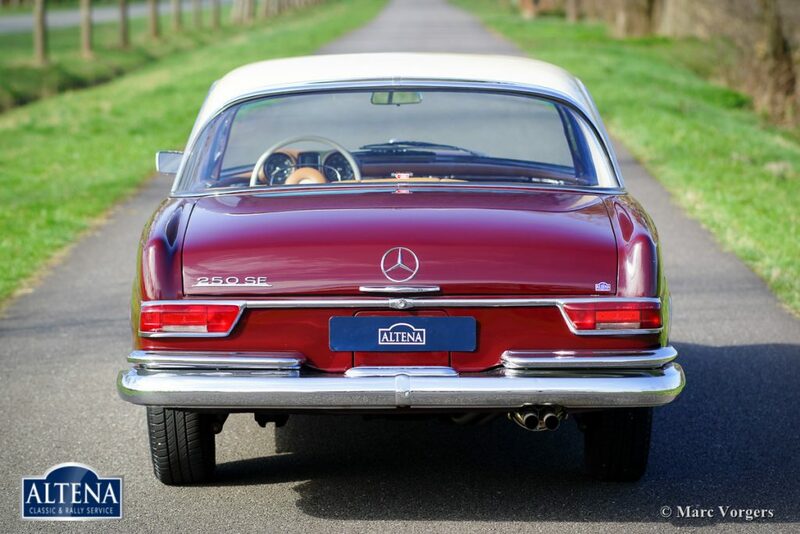 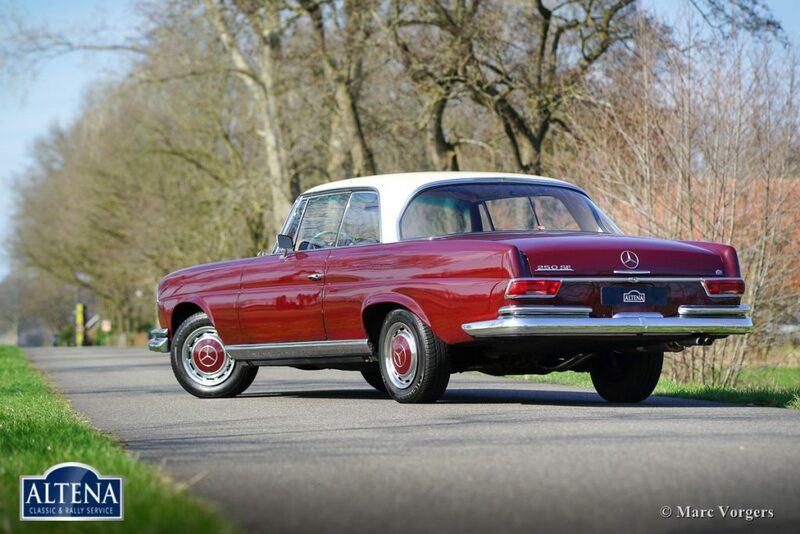 This very impressive and large Mercedes-Benz 250 SE coupe is in a very good original condition and the car drives very well. 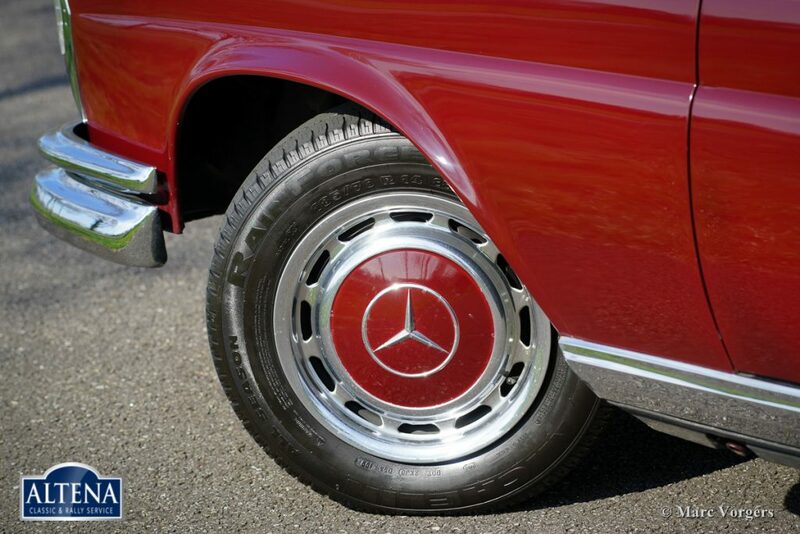 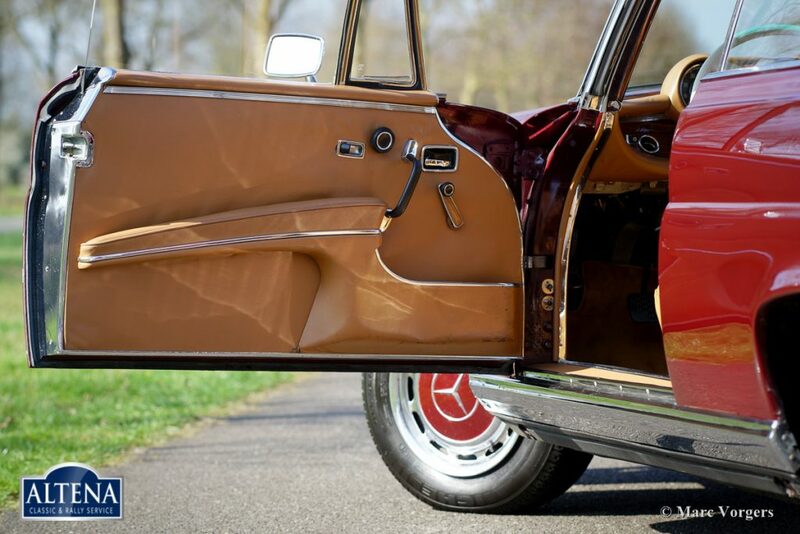 Very special is the presence of a manually operated gearbox since most of the W108 cars were sold with automatics. 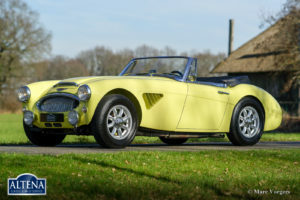 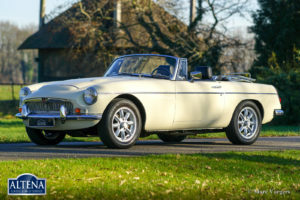 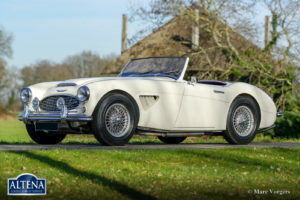 This beautiful coupe is very original and it shows some signs of use. The body was given new paint in the past and the smooth running six cylinder in-line engine has been overhauled. 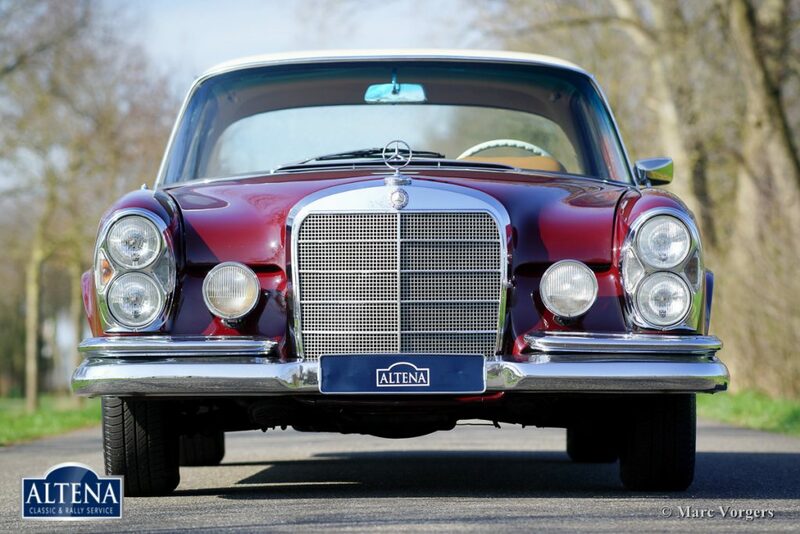 A splendid driver in very good condition!